IRONMAN, a Wanda Sports Holdings company, announced today a multi-year global partnership that expands its relationship with ROKA, the Austin-based performance multisport brand. 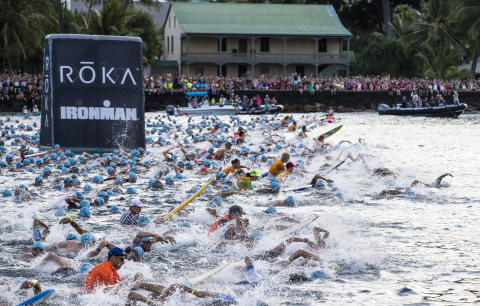 This new partnership makes ROKA the Official Global Wetsuit and Swim Partner of IRONMAN® and the IRONMAN World Championship and IRONMAN 70.3® World Championship events. A Wanda Sports Holdings company, IRONMAN operates a global portfolio of events that includes the IRONMAN® Triathlon Series, the IRONMAN® 70.3® Triathlon Series, 5150™ Triathlon Series, the Rock n’ Roll Marathon Series®, Iron Girl®, IRONKIDS®, International Triathlon Union World Triathlon Series races, road cycling events including the UCI Velothon® Series, mountain bike races including the Absa Cape Epic®, premier marathons including the Standard Chartered Singapore Marathon, and other multisport races. IRONMAN’s events, together with all other Wanda Sports Holdings events, provide more than a million participants annually the benefits of endurance sports through the company’s vast offerings. The iconic IRONMAN® Series of events is the largest participation sports platform in the world. Since the inception of the IRONMAN® brand in 1978, athletes have proven that ANYTHING IS POSSIBLE® by crossing finish lines at the world’s most challenging endurance races. Beginning as a single race, IRONMAN has grown to become a global sensation with more than 200 events across 50 countries. For more information, visit www.ironman.com.